The opinion piece in Monday’s Dominion Post (We’re catching fish but not value: why the QMS needs reforming) is critical of New Zealand’s Quota Management System (QMS) and with good reason. The academics who authored the piece used the context of a lack of value creation and capture to frame their point. 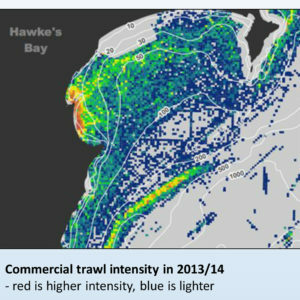 If the New Zealand fishing industry is, by and large, locked into high volume low value businesses it is in the national interest to examine why this occurs and reset policy to drive change. After all, the marine estate is one of New Zealand’s valuable natural resources and deriving value from its use deserves a high priority from government. In real terms the earnings from fisheries has been declining for the last 15 years as firms continue down a largely unchanged path. Sometimes this bears fruit, as in the rock lobster fishery, where export prices have risen faster than costs, but for most this cycle of rising prices has not been the case. Why haven’t firms embarked on aggressive strategies to create more value? The kernel of the stagnation lies in the monopoly structure of the fishing industry. Over the last 30 years the few large companies have become larger and the smaller, more diverse operators have gone. There has been keen competition amongst the handful of large companies to secure the quota shares – often requiring government permission to exceed statutory aggregation limits. There has been competition for quota shares and ”Annual Catch Entitlement”, but not for fish. Fish are typically caught under strict conditions of the quota shareholder, and prices paid to fishermen tend to be the lowest possible. Inshore fishing vessels find it tough going with maintenance often deferred from lack of funds. These outcomes are unsurprising as they perfectly fit the pattern of monopoly industries. Without competition development comes to a halt. We saw it in the telecommunications industry with Telecom controlling that industry, stifling competition and development, and it took many years and great testicular fortitude from government to break it open. New Zealand benefitted. How does the fishing industry maintain this monopoly structure in this day and age? The answer lies in the relationship between the fishing industry and the Ministry of Primary Industries (MPI). MPI is charged with administering the Fisheries Act that regulates fishing. This requires monitoring and enforcement of laws and regulations. MPI is the regulator and the fishing industry the regulated – that is the statutory relationship. Instead, we see an industry that has captured its regulator and the two work together in partnership rather than one regulating the other. Industry Capture is a theory associated with George Stigler, the Nobel Laureate economist. It is a process where the regulatory agencies eventually come to be dominated by the very industries they are charged with regulating. They become captured agencies. You can identify a captured agency through its lack of leadership and through a lack of innovation and value creation by the industry. Both have become more entrenched as time goes by. 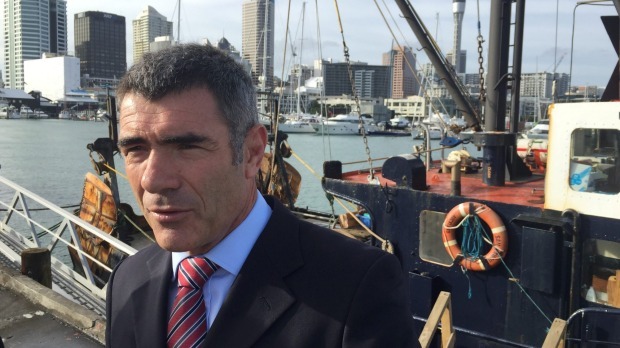 MPI and the fishing industry consider themselves partners in the exploitation of New Zealand’s fisheries. 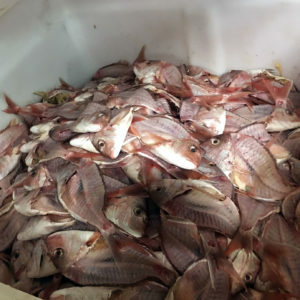 Commercial fisheries are treated as a private matter between the industrial firms and MPI, as the regulator routinely enters into confidentiality agreements that prevent public scrutiny. It is unsurprising that in this environment enforcing the law has become distasteful for MPI. Undertaking covert investigations and mounting prosecutions is no way to behave with your partner. Far better to have a chat and see what can be done, even if it’s systemic dumping. This has become endemic in New Zealand waters. In 2004 industry asked for and received an increase in the amount of quota for elephant fish in Area 3. The reason for the increase submitted by the industry was that there was widespread dumping and misreporting. In 2012 Operation Achilles revealed widespread dumping of elephant fish. Today we hear that the ministry can’t tell us how many industrial fishers have been prosecuted for dumping fish because it’s terribly complicated and MPI’s database isn’t up to the job. The number prosecuted is somewhere between two and 100. The calls for a full inquiry into the QMS are well founded and reasonable. New Zealand’s fisheries resources are public property, to be used and conserved in the public interest. The unholy alliance between the industrial captains and MPI that enables this monopoly acts directly against the public interest, and directs policies to benefit the private interest of a few. We need a Commission of Inquiry to fully understand the depths of this relationship and to build a fisheries management system that puts the public interest squarely at the heart of the matter. 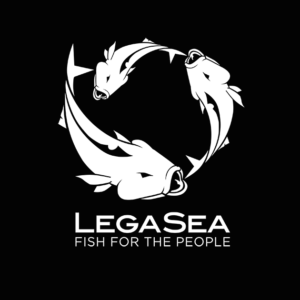 Barry Torkington is an advisor with LegaSea, the recreational fishing lobby group. Barry has worked in fisheries in New Zealand for more than 40 years and has a keen interest in sustainable fishing practices and the protection of New Zealand’s unique ecosystem.